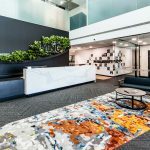 In partnership with JLL, IA Design worked with an international Japanese client to design and deliver their first Australian office in the heart of the Sydney CBD. With limited presence in the Australian market, the brief sought an environment that balanced the Japanese heritage and culture of the firm with local Australian flair. The design was driven by the concepts of verticality, fluidity and simplicity – drawing on the neutral and minimalistic palette of the Japanese headquarters and taking advantage of the sweeping views of Sydney harbour. 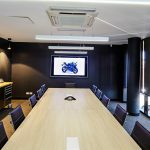 With distinct public and private zones, the office features a series of workstations, meeting rooms, conference rooms and breakout areas. A defining feature of the design is the statement lobby that extends through to a glass and wood panelled corridor – setting the tone for the surrounding meeting rooms. The end result is a sophisticated new environment to introduce the firm to the Australian market.